The mirrors – made of grey enamel, glass and steel, and housed in a space closer to a modernist white cube gallery space than most of the rooms here – are angled to reflect different parts of the space in a slightly confusing way. Though the panels are tilted they sit in what is essentially the vertical plane we expect paintings to inhabit so it is as paintings that we first try to read them. That the image is formed purely by reflection is counter to expectation. Where normally one would expect to try to catch an angle that minimises reflection when looking at work mounted behind glass, here one moves precisely to experience the fullest possible range of reflections. 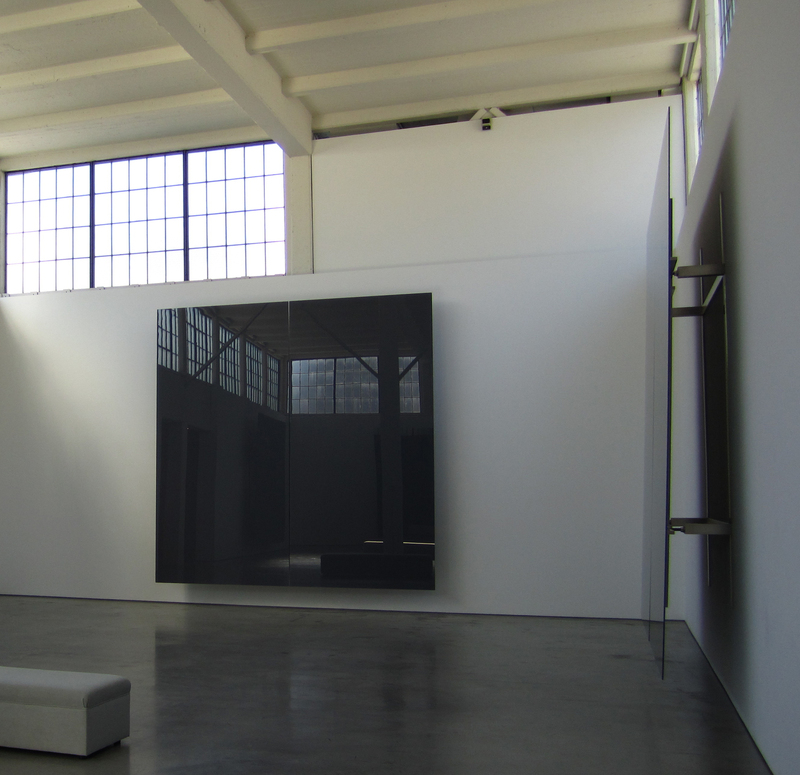 Dia:Beacon is at 3 Beekman Street, Beacon, NY 12508. It’d be worth the trip regardless but is made all the more exciting by taking the train from Grand Central Station. 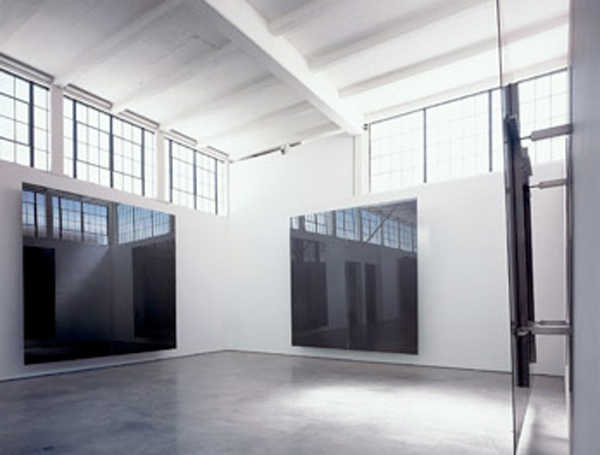 This entry was posted in Architecture, Installation, Painting and tagged art, Dia Foundation, Dia:Beacon, Gerhard Richter, installation, mirror, painting, Six Grey Mirrors by Ann Jones. Bookmark the permalink.